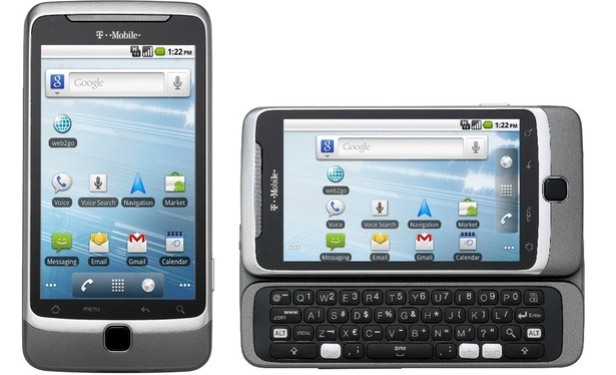 The T-Mobile G2, released at the end of 2010, is an affordable high quality smartphone equipped with a QWERTY keyboard. Although not one of the most powerful models from this brand, the G2 can be amazing for surfing the web – it reached up to 14.4 Mbps in terms of speed. If you’ve purchased this phone and started experiencing a poor performance and a few errors, the software might have been attacked by a virus. This means it is time for you to perform a hard reset on the T-Mobile G2 – a simple and efficient way to get rid of all such issues. By restoring it back to factory settings, you will regain functionality of the device. However, it is crucial to understand the way this procedure is going to affect your phone. Simply put, you will be losing all user data including apps, contacts and pictures or videos. To prevent this from happening, you can transfer your documents onto a computer before getting started. Running on Android’s Froyo – the version 2.2 of this OS – the G2 comes with an 800 MHz Scorpion processor. It uses Qualcomm MSM7230 as its chipset and it is equipped with a removable Li-Ion 1600 mAh battery. Coming with a 3G network and a Wi-Fi hotspot, this phone comes with varied included apps: Maps, Gmail, Youtube and Google Talk are just a few examples. It only has one 5 MP camera attached with geo-tagging that can take pictures, as well as 720p video. As we’ve previously indicated, the master reset process is going to erase all the third-party apps, as well as the documents and files you’ve stored on the phone. This is why it is important to create a recent backup that will allow you to save everything elsewhere. It can be the microSD card in case you’re using it or a laptop of your choice if you have one. Go to the Home Screen and tap the Menu key for more options. Select Settings and go to the Privacy folder. Uncheck the box for Backup my data, as the reset won’t be complete in case you’re backing up the files on the phone. 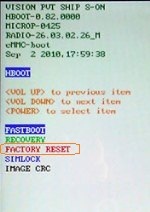 Choose Factory Data Reset and check the box for Erase SD card. Select Reset Phone, and then tap Erase Everything to confirm. If necessary, enter the phone’s password – the default one is “1234”. Tap OK and wait for the device to begin rebooting. Turn the device off, and then press and hold the Volume Down key. At the same time, quickly press and release the key for Power and keep on holding the Volume Down button. When the Android logo appears, release the key and scroll down with Volume to choose Factory Reset. Press the Power key to confirm – this will initialize the process.